IGCS is partnered with Globe-athon to End Women’s Cancers to align advocacy efforts with the mission of the society to enhance the care of women with gynecologic cancer worldwide through education and training and public awareness. 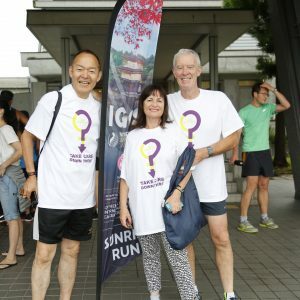 In this effort, we are coordinating efforts with IGCS membership and Globe-athon followers to organize and harmonize awareness events across the globe in an unprecedented effort raise awareness of women’s cancers. The goal is to schedule as many of events as possible (during the month of September which is Gynecologic Cancer Awareness Month) before the 2019 IGCS Global Meeting in Rio de Janeiro September 19-21, 2019. We strongly encourage IGCS members willing and able to support advocacy efforts in their respective country that can in turn be coordinated with other international global activities during Globe-athon 2019, please contact Dr. Larry Maxwell directly at george.maxwell@inova.org. 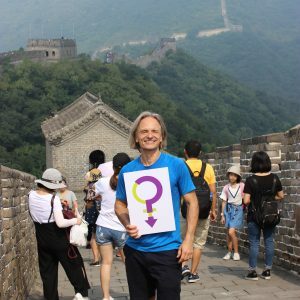 With September being Gynecologic Cancer Awareness Month (GCAM) and the month of the IGCS 2019 meeting, Dr. Larry Maxwell and other members of Globe-athon leadership hope to work together with health care providers, patients, survivors, families, advocates and activists across the globe to schedule advocacy and educational events between September 4-18, 2019. These events can be small or they can be extensive…the effort is what counts. Through education, advocacy and activism, we have the ability to empower women on an international scale. We advocate that organizers reach out to policy makers, Ministry of Health, and industry to help support the event(s) and recruit celebrities, professional organizations and advocacy groups to promote them. Globe-athon is launching the “She Matters” Music Festival in 2019 and encouraging partners worldwide to consider organizing a musical event, festival or concert between September 4-18, 2019. We have already started working on several premier events with countries around the world and would be excited to discuss details with groups that have an interest in this type of event. 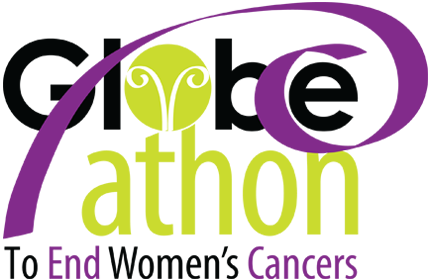 Alternatively, Globe-athon can help you organize a walk, run, seminar or other event that assembles large groups of survivors, families, and the general public. Tool kits that other teams have used in the past, including signage, brochures and other materials that can be personalized for your event are available. IGCS Global Meeting: Those planning to attend the international meeting in Rio de Jainero, please plan to participate the advocacy events and walk/run that will be taking place during the meeting. Viral Video: Globe-athon is soliciting videos from members, survivors and anyone who would like to be involved in creating awareness for women’s cancer to include in the 2019 video campaign. This will involve providing photos or videos of the Globe-athon logo from landmark locations around the world. See Dr. Dorigo at the Great Wall of China and view the instruction video below. Social Media: Please follow Globeathon on social media and start spreading awareness to your patients, colleagues, friends, and families on Facebook, Twitter and Instagram. Patient advocates and educators: Globe-athon is working to standardize elements of an instructional series aimed at educating community advocates in regions worldwide. These resources will be circulated over the next few months and formally presented at international meetings over the next year. Survivor population: Globe-athon is working with IGCS members to develop educational videos for the lay public in English and other languages. If members are interested in developing educational videos for patients, survivors and the general public regarding women’s cancer prevention, treatment or other topics, please email Dr. Larry Maxwell at george.maxwell@inova.org. Please go to https://globeathon.com/our-work/educational-lectures/ for examples. Globeathon Instructional Video from Spark Media on Vimeo.